F is for Fast Food and Fine Dining. As a single girl living alone that didn’t cook, I ate a lot of crap. Fast food was a staple for me because I didn’t like cooking and didn’t do it very well. I didn’t eat fast food every day but too often. On the nights I didn’t get fast food for dinner I would eat the pre-packaged dinners. Things like frozen pizza, frozen pot pies for example. I also made a lot of stuff out of a box. I liked those “Helpers” where you just cook the box. Mac n’ Cheese from a box. Lots and lots of processed foods! 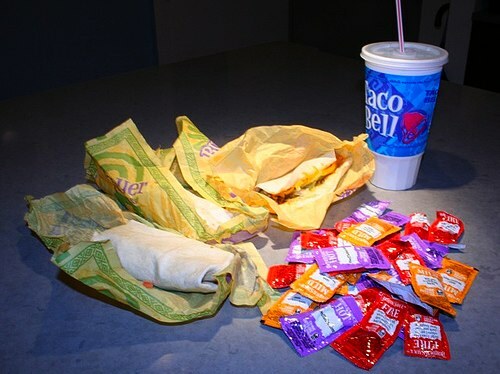 I had my favorite fast food places. I loved the Dairy Queen Blizzards. I’d get several a week–and not the small ones either. 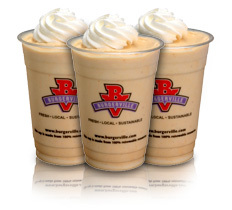 My favorite flavors were Butterfingers or Reese’s Peanut Butter Cups. I’ve talked ad nauseum about my addiction to Pizza Hut. Sometimes I’d get a pizza once a week. Do we even have to speculate why I weighed over 250 pounds? The diet in combination with no exercise did a number on my body and my brain. When it became time to lose the weight I stopped eating fast food. Cold turkey! It was hard. I wanted pizza so badly but I resisted and the only “fast food” I ate was Subway. Or was it? NOPE! I was still eating fast food–just in a different form and in lower calories. 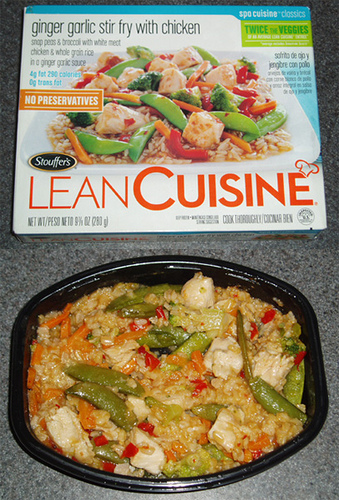 For three years I ate Lean Cuisines in order to lose weight and yes, I realize they aren’t healthy. But it did the trick. It was portion controlled, low in calories, and honestly didn’t taste that bad. It was also good because I hated cooking. Funny how things change, huh? Michael is a foodie. He taught me to become a foodie. He was all about eating real food. He nagged me to no end about the “crap” I was eating and how it was poison to my body (so true). The other thing he taught me was fine dining. Before, “fine dining” meant Red Robin, Azteca Mexican Restaurants and Chevy’s. Hmmm. Not quite. Michael exposed me to REAL restaurants. Not chains. Not fast food. Fine dining doesn’t have to mean expensive, either. One of the things I love most about the hobbies that we share is that we can go out to restaurants and try new things. I found that I loved trying new restaurants! It became a thing to do. And we are lucky to live in Portland where there are some pretty amazing restaurants here. In three and a half years of being together we still have not tried all the fantastic restaurants here yet. We have some favorites and I have to admit, the highlight of going out is trying somewhere new. The way Michael first exposed me to fine dining was in Vegas, honestly. 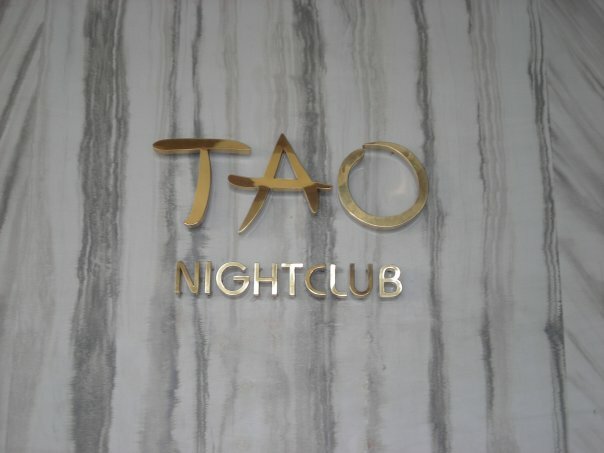 I was there with a friend and he was there with a friend playing poker and the four of us went to Tao in the Venetian. It was one of the most amazing meals I’ve ever had. I wasn’t a huge sushi fan then yet so it was a completely new and foreign experience for me. Craftsteak in the MGM Grand Casino, owned by the awesome Tom Collicchio from Top Chef (my favorite show)! I was floored by the surprise and completely blown away by the food. This is what food tastes like. Wow. It changed my palate. I suddenly became picky about eating crap. I wanted to eat REAL food. The kind of food that was healthier; whole foods, fresh foods. It was a huge, eye-opening experience for me. This also lead me to want to make better food. I started practicing in the kitchen. With Michael’s help I learned how to cook. They aren’t all winners, of course, but most of the time the meals I make turn out pretty good. Michael is a patient teacher in the kitchen. He understands that good food takes patience and practice. I’m learning that. Now if I’m given the option between quickie meals from the freezer or something fresh and lovely, I’d rather spend the time cooking that instead. It’s been a life changing journey. QUESTION: What is your experience with fast food and fine dining? I am not a big fan of fast food. We didn’t eat a lot of the real fast food places like MDs and Taco Bell, but we used to eat out * a lot* at casual dining establishments. We made a lot more money at the time and sometimes on the weekend would eat out all 3 meals! Funny, one house we rented was right next door to a DQ. Literally. Just on the other side of the driveway. John loved that place. DQ gave me tummy issues, so that was incentive to stay away. John still talks about that being a great place to live LOL! Lori recently posted..The up early edition. Whenever we go on vacation and eat most of our meals out in restaurants I just feel gross. Too much! I used to work in Fine Dining. Fine Dining is characterized by a focus on multiple small courses presented in a formal atmosphere by highly trained waitstaff. Courses may include an amuse bouche, intermezzo, and or pre-dessert and mignardese courses. Certain meals may include as many as 15 courses and take up the entire time the restaurant is open, typically 6pm to 10pm. Another defining characteristic of Fine Dining is the use of specialized flatware and china for certain dishes. The amuse bouche is often presented on a baseplate or “charger” that is already in front of the guest. Specific silverware is placed to “mark” courses, such as sauce spoon, fish fork and fish knife, small knife and small fork, oyster fork, escargot holder, etc. I once experienced an amazing fine dining experience in Chicago. My friend and I went to a fancy restaurant downtown and we did the “chef’s choice” special. 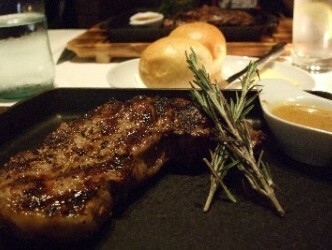 It was a fixed price which included 5 courses and wine. The waitress took down our dislikes and allergies, etc and then the chef created this amazing 5 course meal. It was all stuff I NEVER would have ordered on my own at the time and I got to try some pretty amazing new things. It was the first time I’d ever had ahi tuna steak. One of the amuse bouche dishes was a tiny espresso cup with butternut squash soup. I thought I hated squash (at the time) but I tried it and I realized I loved it. It was a fun experience I would love to try again. I’m sure there are a few restaurants in Portland that would offer something like this. I’ve been wanting to try Beast since I saw the chef on Top Chef Masters last year. The Beast menu is fixed I think. Have you been there? I don’t go to fine dining. I’m still exposed to that world as a Captain of Private Dining. Two nights ago I expedited a 6 course wine dinner with two wines per course (three with the cheese course!). I’ve gone from eating a lot of processed, fast food to being a real foodie over the years too. I almost never eat fast food anymore with the exception of Subway or Taco Del Mar occasionally. I will do my best NOT to go to chain restaurants now. I don’t want to waste going out to eat on a chain! 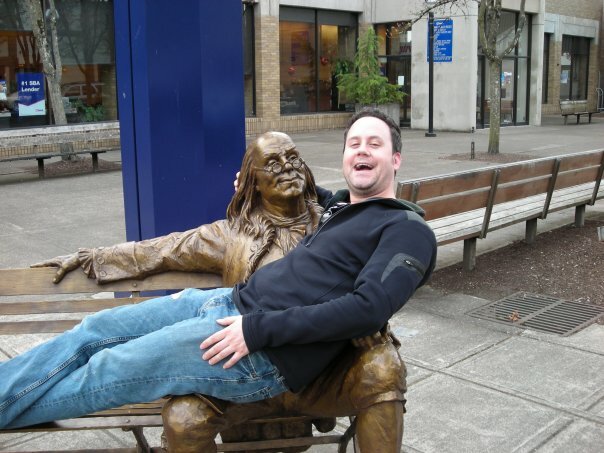 I like eating out in Portland because there are so many great restaurants here to try. I feel much better not eating processed foods anymore.